Following the guide's directions, we reached the base of the Lakshmi Narasimha hill. From hereon we started our climb to the top, where the edicts were supposed to be present. We had to cross the path laid through dry thorny shrubs. It took us about 40 minutes to reach the top of this hill after which our guide took us towards the shelter. We were shocked to see that the entire area was vandalized and there was no signs of any inscription as mentioned by the guide. He too was surprised to see the entire area in this condition as he was sure of the presence of some inscriptions on a slab here, which now was not be seen. We decided to explore the entire area with a hope to find some thing interesting. But there was no luck in finding any edicts or clues regarding the same. We chose a different path to descend but the thorny shrubs and the warm sun added more pain during our descent. Our guide also mentioned about a ruined Venkateshwara temple situated close by. We decided to check it out and on reaching here, we realised that the temple has completely been vandalized owing to communal tensions during the 1970's. What ever remains today gives us a glimpse of the grand temple that once stood here . The architecture resembled that of the Kanakachalapathi temple, also built here. 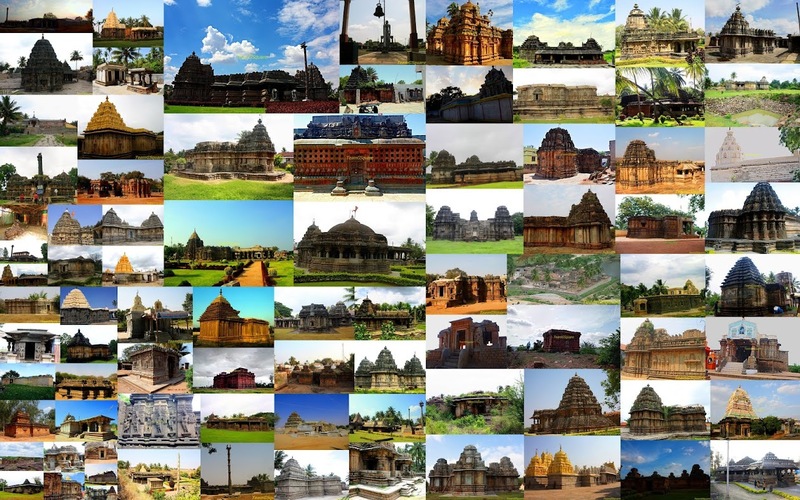 There are 2 beautiful small stone chariots here giving us the flavor of Vijayanagara Architecture. The last spot that we wanted to visit in Kanakagiri was the Venkatappana Baavi, a royal bath built by Venkatappa Nayaka. This royal bath has been artistically designed and is a feast for the eyes. We spent quite a good time exploring this well and admiring the architectural skills possessed by our forefathers. The sad part is that this well is in state of neglect and needs immediate attention. There is a popular local saying in this area that, "people with eyes must see Kanakagiri and those with with legs must see Hampi", implying that Kanakagiri temples are a delight to the eyes and one needs to walk about tirelessly to see the vast expanse of the ruined Hampi. Meanwhile, a friend of ours accompanied by his friend who is a local of Kanakagiri reached Venkatappana Baavi. The local person confirmed that he checked with a few others who are well versed with the history of Kanakagiri and confirmed to us that no such edicts as the ones we were in search of, exist here. Thus concluding our search of Kanakagiri's Ashokan Edicts, which still remains elusive. We spent sometime near a huge tank which was completely dry and finally bade a good bye to our friends and proceeded towards Bangalore. The previous posts related to Kanakagiri's Ashokan edicts can be read here and here. Very interesting post.. Will have to plan a trip to Kanakagiri soon. Thanks for sharing Dhiraj. Amazing and beautiful place . Wonderful exploration. The royal well is amazing. Where is this place situated? seems like a interesting trek. Beautiful.. have you seen the edits at Maski? Edicts of Maski is still pending to be visited.